I took part in a cookie exchange at work this year, and nearly everyone there knows that I drink tea. Some people had written down what they were going to be making (sugar cookies! butter tarts! ginger snaps!). I love shortbread and I’ve made it every single year for at least the last 10 years. 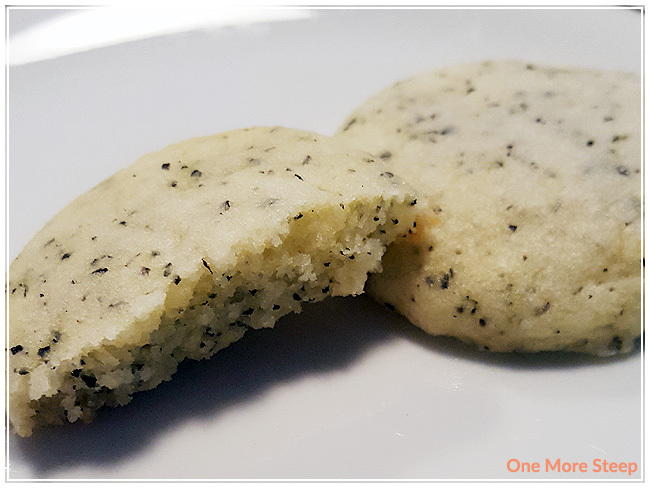 I really wanted to incorporate tea into my cookies somehow, so I took my usual shortbread cookie recipe and adapted it! 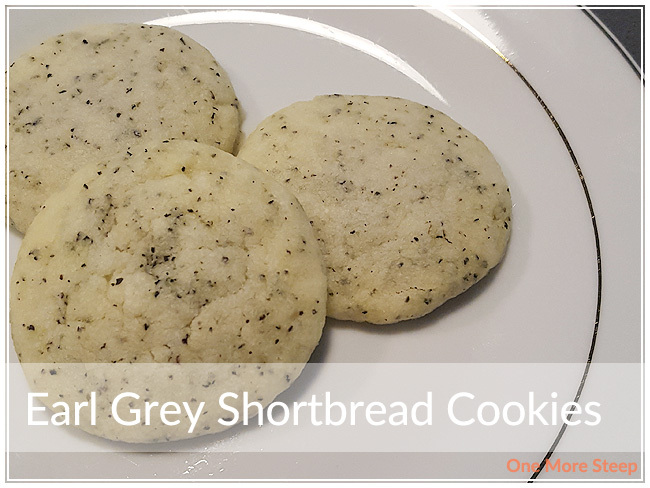 The result is a buttery shortbread cookie that has the delightful aroma and flavour of Earl Grey throughout. Cream butter and confectioners sugar together. Mix flour and Earl Grey tea together so the tea is evenly distributed. Blend all the ingredients together. If you’re using a mixer, it will crumb at the beginning but if you continue to mix it, it will form a dough. Drop about a tablespoon of dough onto the cookie sheet for each cookie, give them space as the cookies will spread (I get about 12 cookies on a standard cookie sheet and there is about 1.5″ between each cookie). Bake for 10-12 minutes, or until the bottom edges begin to turn brown. Remove from the oven, allow them to cool for about 5 minutes prior to transferring to a cookie rack. If you transfer them too early, they’re quite soft and may crumble. 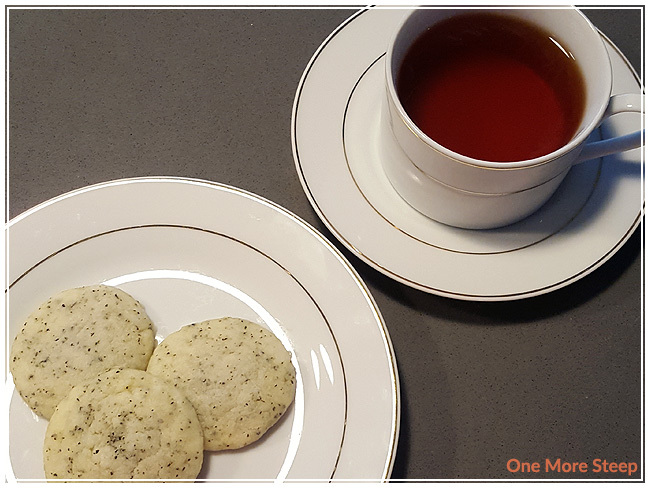 If you make these delicious Earl Grey shortbread cookies, I’d love to see your photos! Be sure to tag me on Instagram (@onemoresteep #onemoresteep) or comment below with a link to the photo!